I found various examples but nothing like what I'm looking for. I seem to be able to do it if I format it in a specific way but it doesn't let me add NAME and LOCID. you can ignore last line and also complete this to generate XY Event layer with arcpy. Both involve converting your text file to a .CSV format as show below. 2) You can load this in R and write shapefile using maptools. Not the answer you're looking for? Browse other questions tagged arcgis-desktop arcpy point text or ask your own question. Batch shapefile merge, with adding and calculating field, in ArcPy? 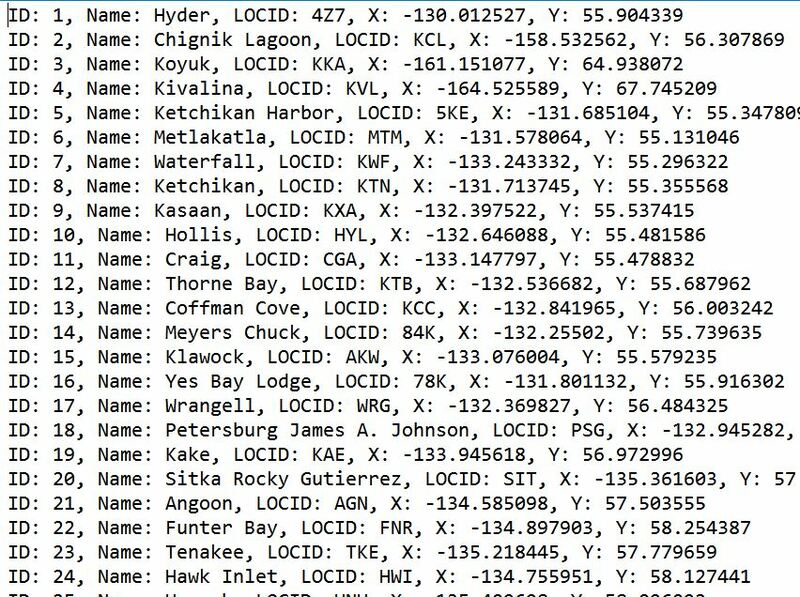 Listing field name aliases in one shapefile/layer using ArcPy? How to create multiple QGIS layers from multiple text files? Creating shp from txt files using ArcPy? Transferring one field name from text file to new field name in feature class? Compare and update values from different source using ArcPy cursors? Accessing raster values to create histogram using ArcPy?